Mix and match as many sleep sounds together as you like. 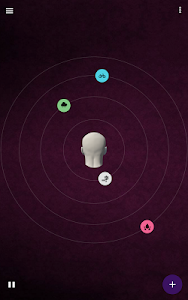 Sit back and relax as the sounds orbit around your head randomly or you can take control as you like. 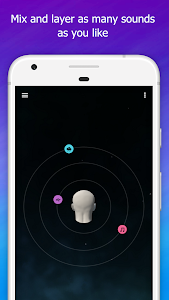 • The sounds will start orbiting around your head and change directions randomly. With your headphones on you will be able to listen to where the sounds come from. 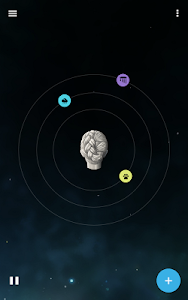 If the sound is left or right of the head on the screen that is where you will hear it coming from. You will also be able to hear if the sound is in front or below you. • If you would like you can disable the random orbits in the options and then they will continue in the direction they are currently going. You can swipe in the desired direction to change it. • White noise and tapping noises can help drown out the outside world helping you fall to sleep faster. 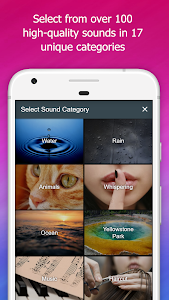 New pink noise and brown noises have been added also. • Whispered positive affirmations will improve confidence and help stress relief and anxiety relief. • Induce lucid dreaming with repeated whispered reality checks including, "mind awake, body asleep". 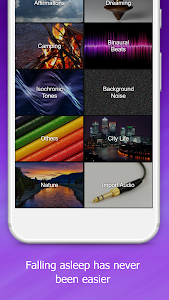 • Ambient sounds and relaxing music can create the perfect sleeping ambience. • With the use of white noise and other relaxing sleep sounds, tinnitus can be relieved. • Meditation music and relaxing melodies can help calm the nerves and is great as yoga music or for healing reiki. • Relaxing with nature sounds is a form of noise sound therapy. • Improving the quality of sleep is the number one increase to health. Sleep for at least 8 hours. 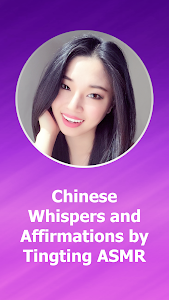 • Experience ASMR with the use of true binaural audio ambiance including ASMR whisper. This is a true ASMR audio experience that puts the power in your own hands and creates tingles. • Focus in on peace and solitude with whispering guided relaxation from many different categories that will help stress reduction. • Fan noises for sleeping can be very useful, especially the oscillating fan or the other fan nose from air conditioner, the app includes these in different strength variations. 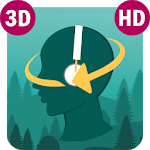 • Binaural Beats: these are special frequencies that are slightly different and you play one into each ear. This is a form of brainwave entrapment. When combined together they can help promote meditation and be a sleep aide by altering your brain waves. For best results, you want to set the binaural beats volume to be barely noticeable and they work great layered with other sounds. Isochronic tones are also available which produce similar results even though they don't require headphones. + Bug fixes and tweaks to performance. 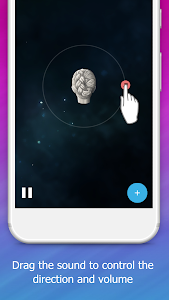 Similar to "Sleep Orbit: Relaxing 3D Sounds, White Noise & Fan"